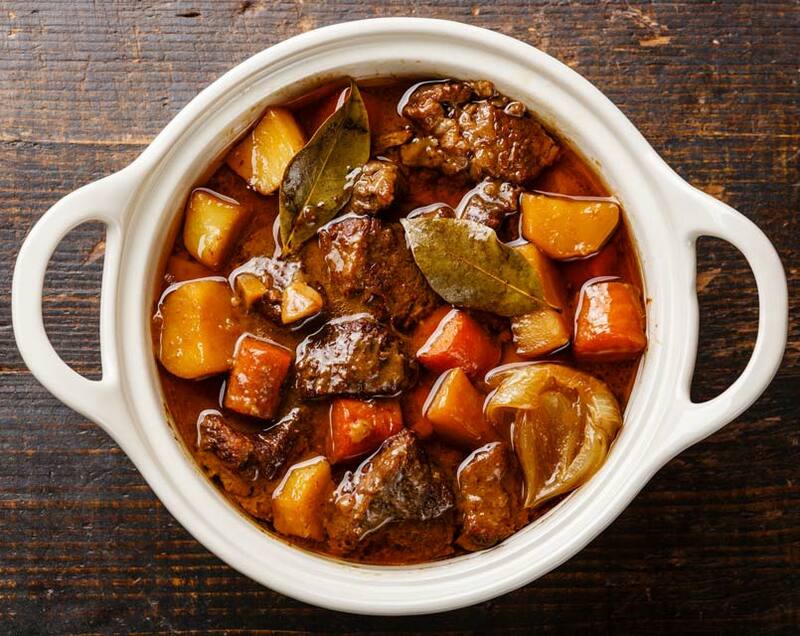 Nothing says comfort on a cool autumn evening like a bubbling pot of beef stew. It might seem like a daunting dish to prepare, but it's actually pretty easy once you know the technique. Add plenty of nutritious spices and vegetables for a healthy and filling dinner. In a gallon-sized freezer bag, place flour, stew meat, black pepper, and paprika. Seal bag and shake until meat is well-coated. Warm avocado oil in a large pan over medium heat. Add garlic and onion, and cook until onion is translucent, about 2-3 minutes. Add meat and cook until browned on all sides. Remove beef, garlic, and onion, and add broth to pan. Bring to a simmer and deglaze pan by scraping with a wooden spoon until any bits come off into the broth. Add meat, garlic, and onion back to pan, along with bay leaves, and bring to a boil. Cook about 1.5 hours until meat is very tender, adding broth or water as needed. Add potatoes, cover, and simmer for 30 minutes until tender.